Not the most egregious of violations but showing how deep the ruling powers’ reach in Iran is: more than two dozen prominent lawyers, including well-known human rights defenders, have been disqualified (again) from running in next month’s election for the Iranian Bar Association’s board of directors. Judge Hosseinali Nayeri, the head of the Supreme Disciplinary Court for Judges, issued a statement on 2 February 2016 rejecting 25 of the 141 candidacy applications, according to Kaleme, an opposition website. 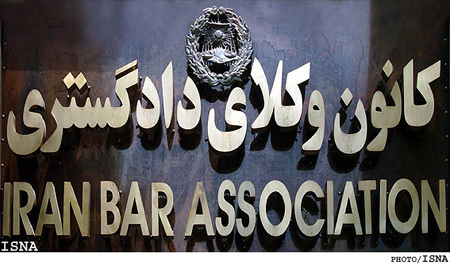 Sholeh Sadi, told the NGO ‘International Campaign for Human Rights in Iran’ that the bar association should operate as an independent body and elections for its board of directors should be conducted without the interference of the judicial system. “Governments want to limit the lawyers’ activities and try to control them,” said the former Member of Parliament who has served time as a political prisoner in Iran. The independence of lawyers as well as the Iranian Bar Association have been seriously undermined since the passage of a law in 1997 that imposed several limits and controls on the process for testing and licensing new lawyers. In February 2014, some 200 lawyers wrote an open letter to President Hassan Rouhani expressing concern about the Judiciary’s attempts to curb their autonomy. They accused the Judiciary of trying to destroy the independence of the legal profession “established by Prime Minister Mohammad Mossadegh more than 70 years ago.” The Head of the Iranian Judiciary, Sadegh Larijani, denied the charges, claiming that the Judiciary’s supervision over lawyers would not curtail their independence. This entry was posted on	February 11, 2016 at 08:24	and is filed under human rights, Human Rights Defenders.